FLINT — The Flint Firebirds bolstered their roster over the weekend, adding 15 prospects in the annual Ontario Hockey League Draft. With the second overall pick, Flint selected Brennan Othmann, a forward from Pickering, Ont., who registered 66 goals and 80 assists throughout 72 games with the Don Mills Flyers Minor Midget AAA. In the second round, Flint selected center Braeden Kressler from the Mississauga Senators Minor Midget AAA and followed that up by taking Tyler Dunbar in the third round. Dunbar is a defenseman who suited up for the Soo Thunderbirds Minor Midget AAA last year. Also in the third round, the Firebirds snagged Zacherie Giroux, a center from the Sudbury Wolves Minor Midget AAA. The very next pick was defenseman Roy Matthew who hails from the York-Simcoe Express Minor Midget AAA. Flint’s next selection wasn’t until the sixth round when they added Jack Silich, a right wing from the Chicago Mission 15’S. In the seventh round, it was Ty Gallagher, a defenseman with local ties having played for Detroit Compuware 16U. 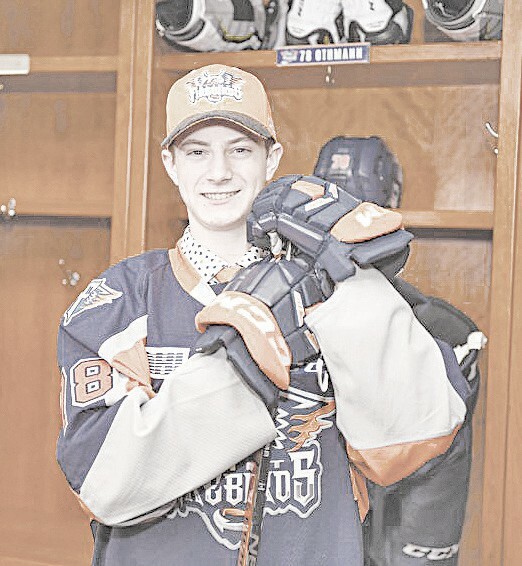 Also from Detroit Compuware 16U is right wing Jack Stolicker, who the Firebirds selected in the eighth round. In the ninth round, Flint picked up center Patrick Saini of the North York Rangers Minor Midget AAA before adding Edward Moskowitz in round 10. Moskowitz is a left wing who played for the Don Mills Flyers Minor Midget AAA. The 11th round came with the selection of center Carlile Owen who played for the Oakland Jr. Grizzlies 15’S. Center Kyle Maloney was taken in the 12th round after playing for the Waterloo Wolves Minor Midget AAA. In round 13 it was Amadeus Lombardi, a center from the Toronto Titans Minor Midget AAA. Defenseman Joshua Vagenas of the Halton Hills Hurricanes Minor Midget AAA was taken in the 14th round and in the 15th round, the Firebirds took Jacob Clelen- Gough. He plays defenseman and comes from the Niagara North Stars Minor Midget AAA.